CONQUER® herbicide is the only pre-seed burndown solution with two active ingredients and two modes of action for use with glyphosate prior to canola. GoldWing® herbicide is an effective pre-seed burndown option with multiple modes of action for use before seeding pulses, cereals, corn and canary seed. Valtera™ is a pre-emergent residual herbicide that offers up to 8 weeks of early season broadleaf weed control in pulses, soybeans and wheat. 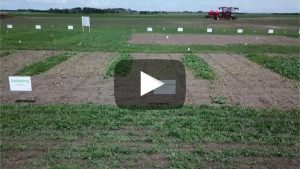 what a better pre-seed burndown can do for your crops. Nufarm has partnered with Bayer in the Real Farm Rewards program as the exclusive herbicide tank-mix partner for glyphosate. Save $1 – $2/acre on Nufarm products when you register with Real Farm Rewards™.